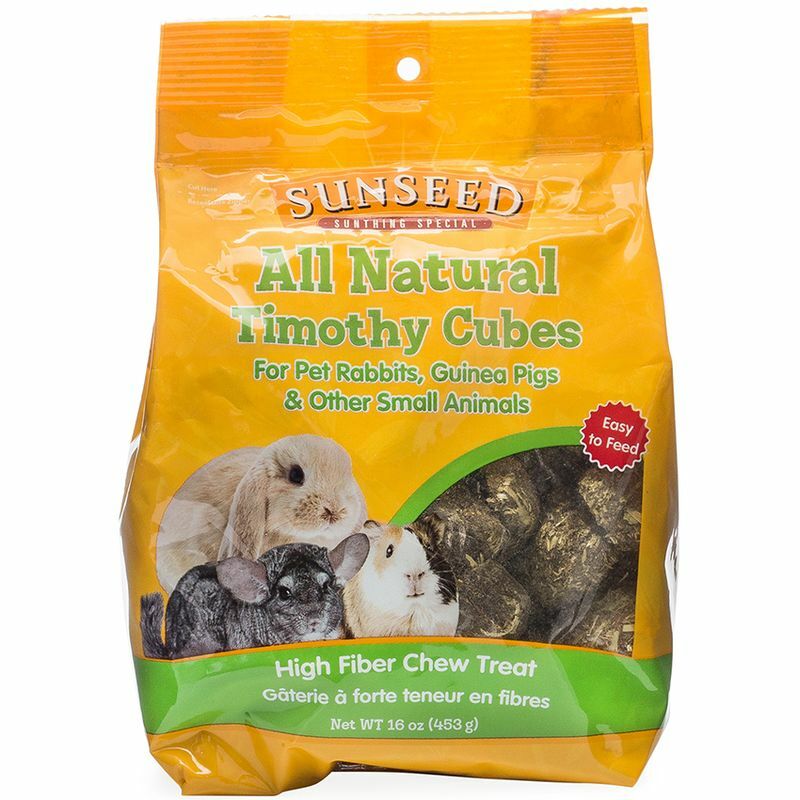 Nutritious cube treat for small animals made with only ONE ingredient: all natural timothy hay. 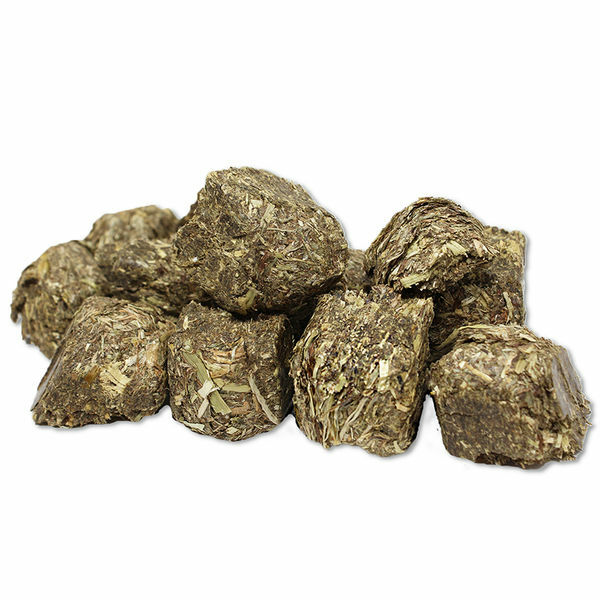 All Natural Timothy Cubes are a delicious, healthy treat and high-fiber natural supplement to your pet’s regular diet. Made from 100% North American timothy hay grown without the use of pesticides, these treats help to support the dental health of your pet. Feed 1 to 2 cubes daily, depending on the size of your pet. This is not a total diet; it should be fed in conjunction with a Sunseed complete food designed specifically for your pet’s species. Fresh, clean water should be available at all times. Seal unused portion and store in a cool, dry place. 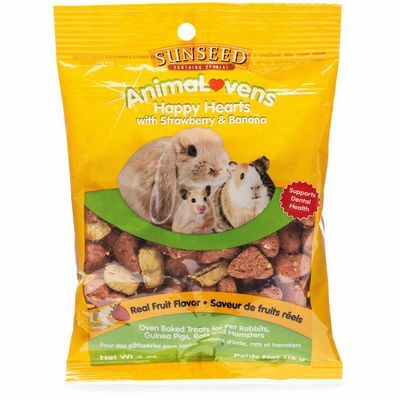 Oven-baked, natural fruit treats with a hard crunchy texture that help with small animals' tooth conditioning. 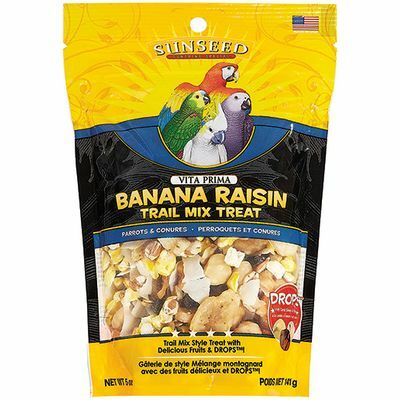 Delicious trail mix-style treat made with tropical fruit, whole grains, and carob-flavored Drops™ for parrots and conures.